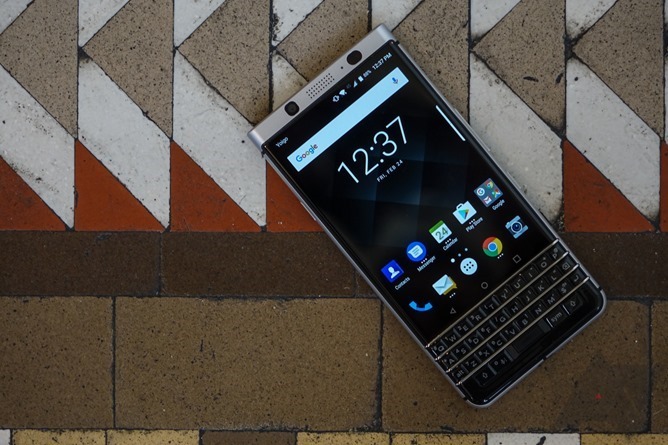 BlackBerry KEYone hands-on: The QWERTY candybar's last stand? BlackBerry wants to sell you a candybar phone in 2017. This is the bottom-line with the freshly-minted KEYone - which I will call the KeyOne from here on for sanity's sake - and if it's a proposition you're not interested in, there's nothing here that will change your mind. The one I'm using here in Barcelona, by the way, is the finalized version of the phone, running Android 7.1.1 (preproduction software) and basically ready for retail. So, what's it like? Obviously, this is a very niche smartphone, but one that knows and doesn't apologize for it. BlackBerry is playing to an audience, and it's apparent at every level: this is not the next phone for the specification crowd, nor is it for the exceptionally budget-minded. At $549, the KeyOne is far from the most expensive handset on the market, but armchair smartphone critics will lambast its Snapdragon 625 chipset (found in many much cheaper devices) and a middling 4.5" 1080p LCD display as offering mid-range performance at a near-flagship price. And, frankly, they're right. The sum of the KeyOne's physical parts don't add up to a $550 smartphone. But to their defense, I don't think BlackBerry is trying to claim that's the case. Instead, the KeyOne is positioned as a device for BlackBerry owners (and ex-owners) that just works in a '2017 smartphone' sort of way. The KeyOne is four-carrier compatible in the US. Its fingerprint scanner is integrated directly into the spacebar. There's a modern rear camera (the same sensor found in the Pixel). 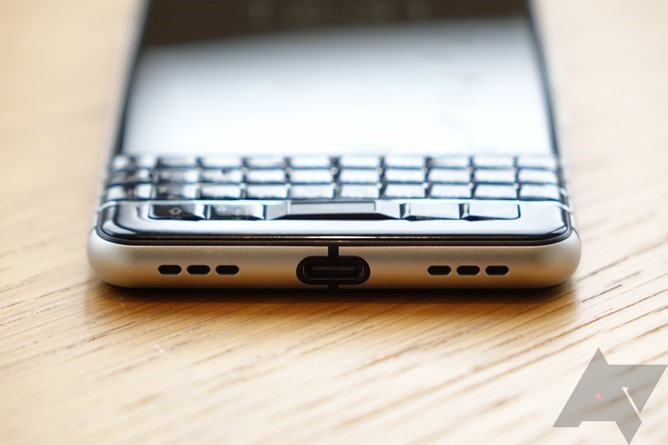 A programmable dedicated function key, a hallmark of past BlackBerry devices. Fast charging (QuickCharge 3.0) accompanied with a large 3505mAh cell for all-day-and-then-some longevity. Android 7.1 out of the box, with monthly security patch support. BlackBerry and TCL pitch the KeyOne as a phone designed to simply be good at doing phone stuff. 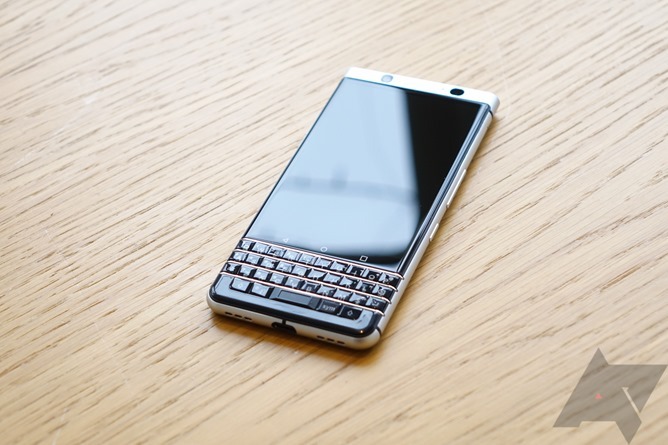 What they don't mention as frequently is that this is within the context of doing these things well as a BlackBerry, which really does limit the KeyOne's marketability, yet simultaneously constitutes its biggest strength. Consider it a disclaimer, but I personally have no interest in keyboard phones - I was never part of the craze originally, and nothing about them today intrigues me. Auto-correct is good enough for me, and I'm faster with a software keyboard by at least a factor of two than when I clumsily pecked at the Priv's chiclets for a couple of weeks in 2015. But the KeyOne isn't a phone for me, so let's not get too far down that road. 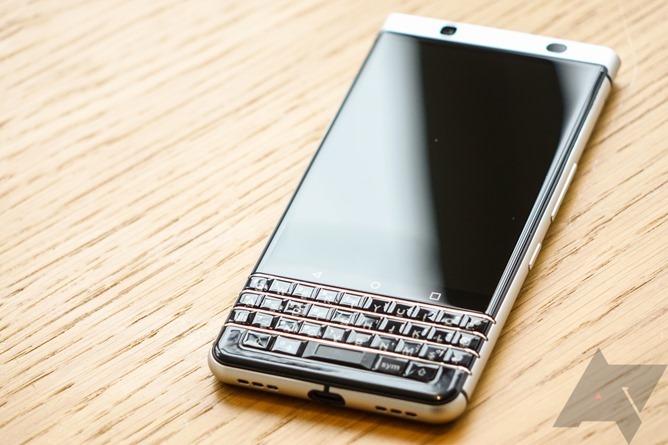 TCL and BlackBerry expect that the KeyOne will sell most strongly to enterprises, where IT managers are essentially choosing between Apple and Samsung at present, with many still hanging on to an aging population of older BB OS devices that they are loathe to replace. 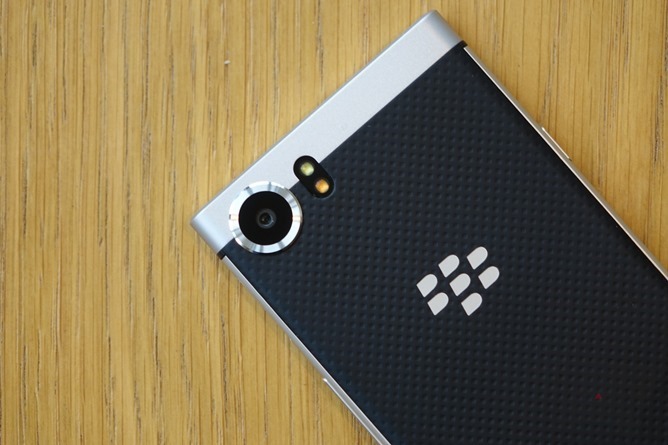 Of course, we've already heard this story: the Priv was supposed to be the same answer to the same question, but it sold in disappointing quantities and was no doubt the catalyst that led to BlackBerry switching to a licensed business model for its phones with TCL. The key question, then, is: What does the KeyOne do differently and, more importantly, better than the Priv? Well, it will last longer, for one: the Snapdragon 625 is legendarily conservative in its thirst for power, and coupling that 3505mAh battery with a 4.5" LCD at 1080p resolution means this phone will probably last a lot of folks two full days out of the box. Even the heaviest users will probably struggle to kill the KeyOne in a single day, but we should reserve judgment for that particular point until our review goes up. The camera will also probably be significantly better, the OS more recent (launching with Android 7.1), and the network compatibility much-improved. 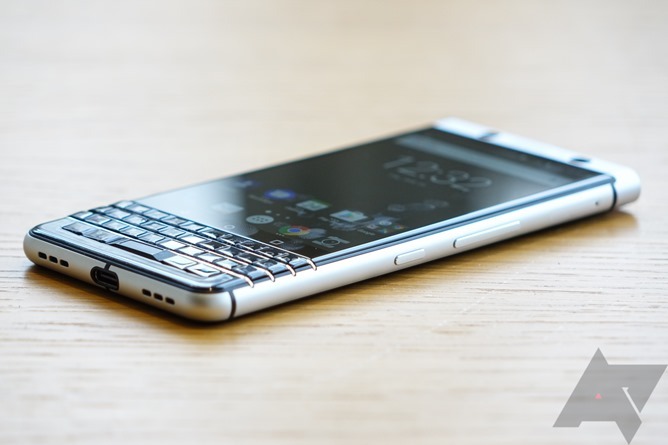 Other than that, though, I have a hard time seeing why the KeyOne will overwhelmingly succeed where the Priv failed, unless the move to the classic candybar form-factor is what the market was really waiting for here. It may well have been - I guess we'll find out. 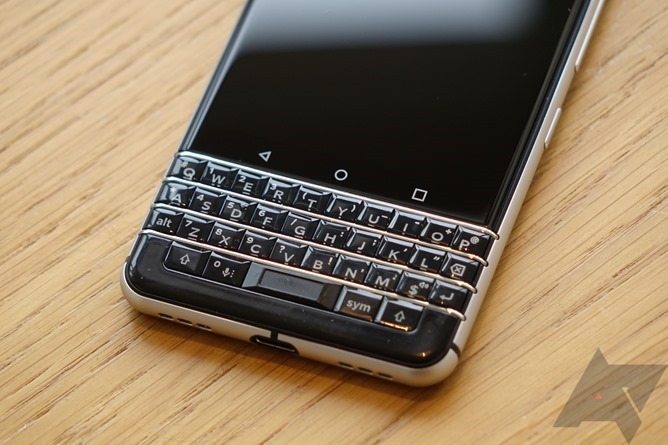 The actual quality of the phone seems solid - it's built around an aluminum frame with a rubberized coating on the back to give it a "grippy" feel, and the keys provide solid tactile feedback, as you'd expect of a BlackBerry. There have been renovations in the software department, as well: one of the most interesting features I saw demonstrated was the ability to map any of the keyboard's A->Z keys to a shortcut action, be they ones preprogrammed by BlackBerry or any that would appear when adding a shortcut to your homescreen. Want to automatically navigate home simply by holding down the "H" key on your phone? You can do that. You could map to a Tasker or IFTTT shortcut for smart home actions, or simply activate voice search by holding the "G." This is a genuinely useful feature, and one that I think power users would certainly appreciate. The performance of the phone seems solid - probably comparable to that of the Moto Z Play which is powered by the same Snapdragon 625 processor. The 4.5" LCD display is nothing to get excited over, and several engineering units I used had significant light bleed, so hopefully that's not an issue when the phone comes to retail (some I tested were fine in this regard). The software feels like stock Android aside from the BlackBerry preloads and the BlackBerry launcher, with only a few minor additions in settings for things like the custom function key. In many ways, it reminds me of the Priv that came before it. That all said, I want to be clear: the KeyOne feels like a totally competent effort for what it is. Monthly security updates, the promise of a hardened Android OS that has never been rooted (something BB is quite proud of), four-carrier readiness, and battery life that will likely be excellent make the KeyOne a good platform for the continued experiment that is the physical keyboard phone. Is it expensive given the bill of materials? Yes. But I suspect BlackBerry's hope isn't that you or I will go out and pick up this phone (well, they'd like that, of course), but that IT managers and equipment buyers at large enterprises will see a worthy replacement for their aging fleets of BB OS devices. Should they decide to buy in, my initial experience with the KeyOne indicates they could do much worse, certainly, and the $549 price tag significantly undercuts premium-tier handsets from Samsung and Apple. That, of course, assumes the target market for this phone will put it on the level of your iPhones and your Galaxy S7s, but in the world of enterprise and big purchase orders, "Snapdragon 625" probably isn't what gets considered in the bottom line. 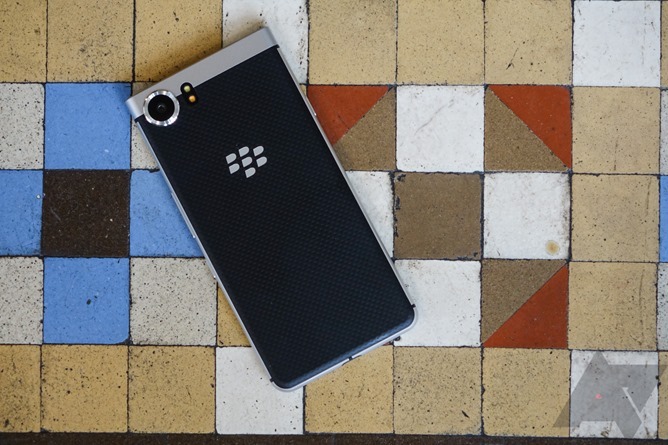 As a BlackBerry ready for 2017, the KeyOne seems promising. As a smartphone in such a cutthroat market where Apple and Samsung control the narrative and, increasingly, find their way into executive boardrooms? That's much less clear.